The deconfliction agreement covering Russian-Israeli military coordination for Israel’s operations in Syria must be amended. The current arrangements would be observed until the Russian and Israeli leaders’ meeting. The two would also decide how – and if – the delivery of Russian S-300 air defense missiles to Syria fit in with the new coordination arrangements. 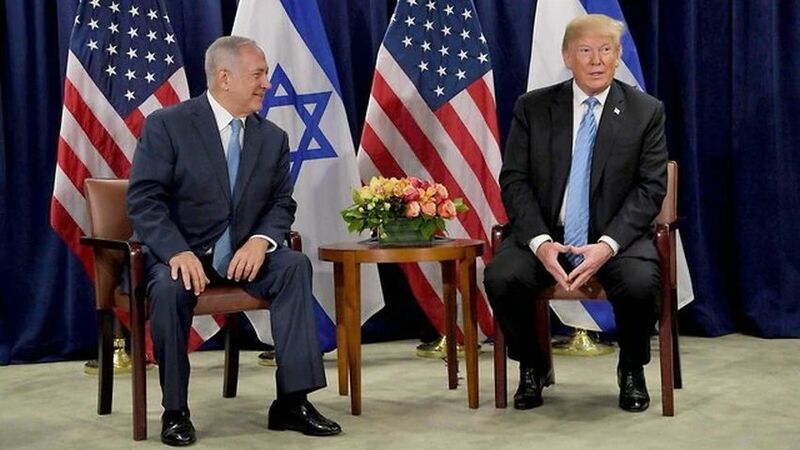 The issue of the Israeli-Russian crisis was therefore left outside their agenda when Trump and Netanyahu sat down on the sidelines of the UN General Assembly, pending the latter’s interview with Putin. Both were optimistic about Putin making the right decision to call off the delivery of S-300 missiles to Syria and removing it as an issue. But since on Wednesday, all the balls were still up in the air, a distraction was needed to put the reporters off the scent. “I like a two-state solution,” the US President said half-jokingly, in reference to the Israeli-Palestinian dispute. This served the purpose. The reporters hared off with a new headline on familiar ground without asking awkward questions about the fresh crisis still hanging over the Middle East. Iran will dominate Netanyahu’s speech at the UN later Thursday, after his meetings with several world leaders. Palestinian leader Mahmoud Abbas speaks earlier, following a major effort to draw international attention back to the Palestinian issue.